** Student Designers/Models do NOT need to purchase a ticket for the show. Creativity Shell's 4th Annual Gala/Student Fashion Show: "The Orient Express"
The Creativity Shell is a nonprofit organization on a mission to use creative trades to educate and inspire the next generation of makers. The organization teaches sewing/ textile arts classes to students in public libraries, schools and shelters that rescue children from homelessness and human trafficking. Classes are designed to educate and inspire children by teaching them essential life and practical skills. 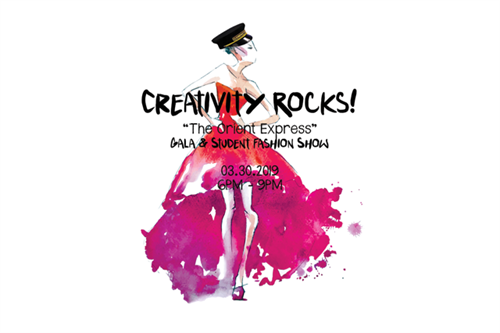 On Saturday, March 30, 2019, the Creativity Shell will host their 4th annual Gala/Student Fashion Show, Creativity Rocks (the theme this year is “The Orient Express”) at the Humble Civic Center. This fashion show will consist of clothing exclusively designed, made and worn by 100+ students who are currently enrolled in Creativity Shell sewing/textile arts and other design programs across Houston. If you have not been to Creativity Rocks in the past, this is a truly unique and memorable experience. The ability to design, make and wear their unique creations on stage in front of an audience is a dream come true for these young designers! Along side the student fashion show is a fun filled night of food, interactive entertainment stations, contests, vendors, and an auction and raffle! 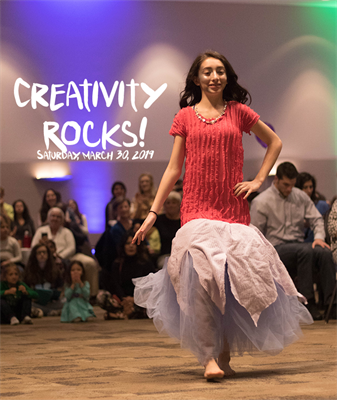 Funds raised from Creativity Rocks will be used to expand the Creativity Shell sewing/textile arts programs in Houston schools, public libraries and shelters that rescue children from homelessness and human trafficking.